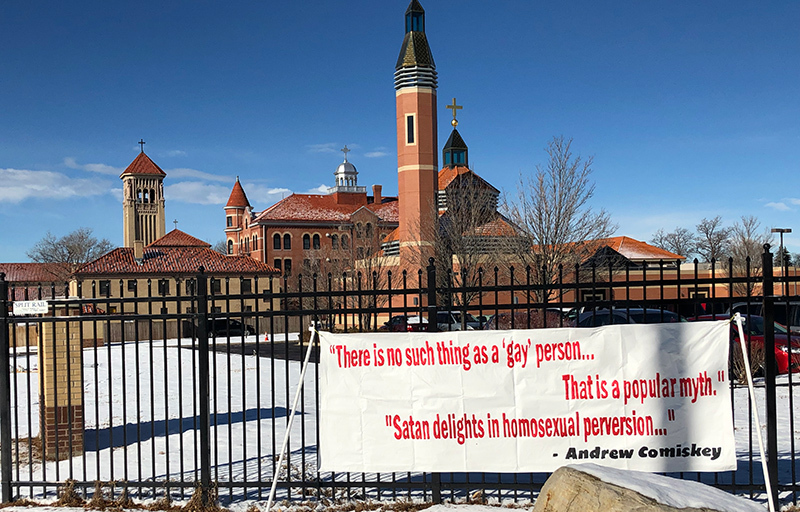 A conference held Saturday by the Archdiocese of Denver that featured Andrew Comiskey, a prominent anti-gay activist and proponent of so-called “conversion therapy,” drew harsh criticism from local progressive groups. The event, titled “Gender Matters: Fighting for a New Generation,” was put on by Comiskey’s organization Desert Stream / Living Waters Ministries, which aims to “heal” people it deems “sexually and relationally broken,” a classification that includes those who have been victims of abuse, have relationship or marital issues, as well as LGBTQ people. Also at the conference, Daniel Delgado, who now works for Living Waters, told the crowd how the program had made him “accept the gift of being male.” Another man, identified as Morgan Davis, said he’d been “acting out in homosexual identity” before becoming heterosexual. These and other “witnesses” cited God as well as Comiskey’s organization as leading them to heterosexuality. But conversion therapy programs like Comiskey’s have been widely discredited, and are opposed by the American Medical Association, the American Psychological Association, the American Association of Social Workers, and other medical organizations. Denver’s City Council banned conversion therapy for minors earlier this month, and legislation banning the practice statewide, which was defeated last year by Republicans, is poised to pass the Democratically-controlled state legislature. This topic contains 0 replies, has 1 voice, and was last updated by Madeleine Schmidt 2 months, 3 weeks ago.